Can I just make a quick prediction before "The Bachelor" airs tonight? The least attractive Bachelor EVER! Well, first of all, as you may have heard, it's going to be the most dramatic rose ceremony ever. I think they have said that nearly every single season. 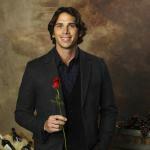 And I predict Ben isn't going to pick either girl- Neither the mean one, Courtney, or the other one who's name no one even knows- is going to go home with a rose. Oh, and I'm going to go out on another limb here and also predict there is going to be lots of crying.